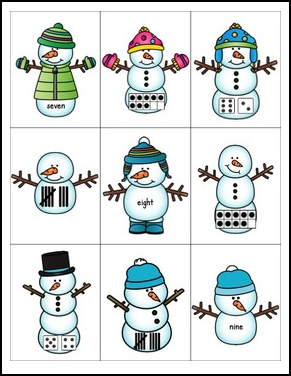 Your students will love finding these adorable snowmen hiding around your classroom with this fun spin on a count the room activity! Students find a snowman, identify the number represented on the bottom snowball and record it next to the corresponding snowman on a recording sheet. Look for the green star next to my store logo and click it to become a follower.You will now receive email updates about this store!